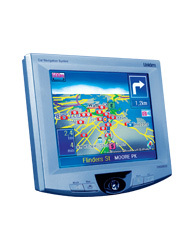 The Sdyney Morning Herald reviews Uniden GNS 8600 GPS and recommends “A good measure of a well-designed GPS navigation unit is to see how quickly you can get up and running without touching the manual. The interface and controls should be intuitive, as you don’t want to spend 15 minutes inside your car figuring out how to set the destination before heading off. Unfortunately, the Uniden fails on this front. Although sporting a large display, it doesn’t take advantage of the space for the touch-screen buttons.